Item - Desktop Fever Mockup Pack. 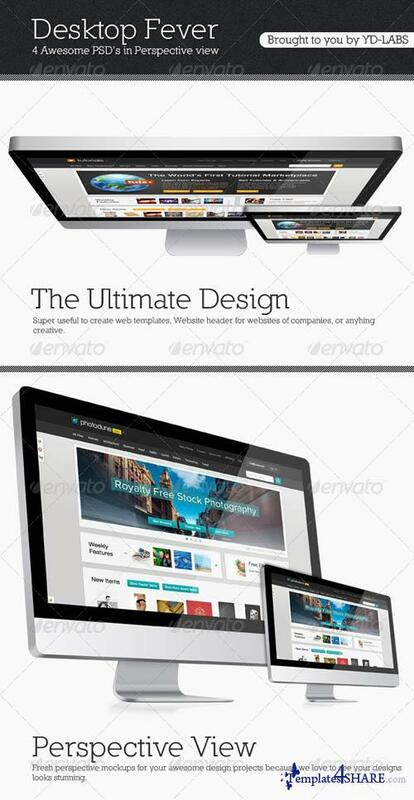 Pack contains 4 high resolution (3000x2000pix, 300dpi) PSD files with smart object Feature. A help read me text file is also included in the main download.